So it's not just you ladies, men worldwide also struggle in the morning to pick the right dress for the day. They also pay a full attention to what people think of their fashion sense. Contrary to women fashion, men don't have thousands of mix-and-match options in their closet. However, they look for a fashionable way to make an impact. Whether you are wearing an expensive suit or a plain t-shirt, it won't make a difference if you do not feel confident in it. In the modern world, appearance matters a lot; and it should be a confident appearance. Today, style is all about wearing anything with confidence. Self-confidence will not just help you to impress people but may make them remember about you for a long time. Your attitude can send a strong signal about your personality to people around you. So, stay confident in whatever you are wearing and let your outfit do the talking for you. First things first, wearing clothes having bad fit is an epidemic. Many men buy large clothes without an aim to gain weight. Shop for today and not future! The very first improvement you can make in your closet is adding clothes to it that fit you. 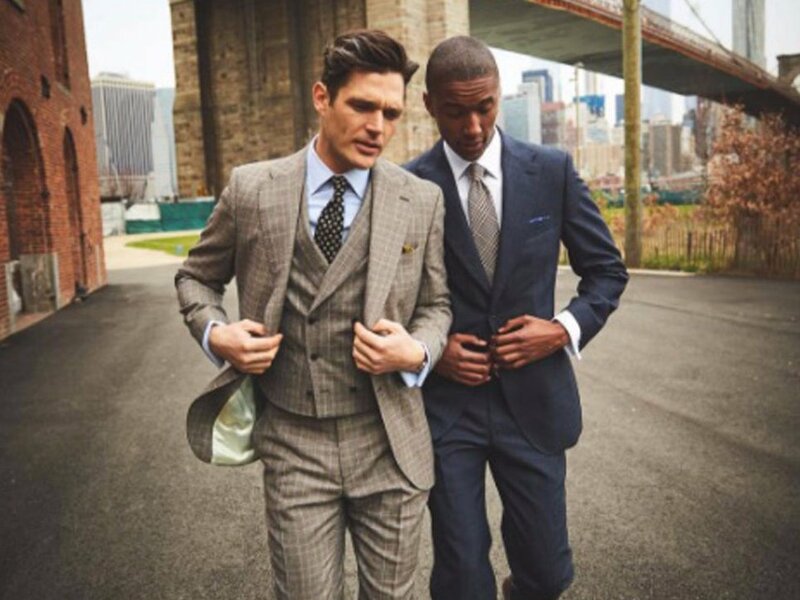 The outfits should fit your body impeccably. But it doesn't mean you wear tight outfit. Anything you wear should look perfect while making you feel comfortable in it. Your wardrobe will always have a place for a new pair of shoes. Gone are the days when men had only two footwear options: Formal or running shoes. Modern men have a shoe style for every occasion. They do not mix running shoes with office outfits, and a casual look with formal shoes. There is no harm in investing in a good pair of shoes. Get a high-quality, durable, and trendy footwear to match it with your personality. Keep on updating your shoe collection with the latest trends at regular intervals. The best way to wear shoes is matching them with an outfit. Casual doesn't mean boring. Whatever you are wearing, have fun with it. Attentively observe the world around and you will find that men have found accessories as a way to turn their casual look into interesting. Apart from a classy watch, they are wearing different accessories to complement their look. Plus, there are various other metal accessories, such as bracelets and chains, that modern men like to wear. If you can't carry metal bracelets or a heavy wristwatch, you can get a colorful wristband. In fact, people wear many of them in different colors to make their casual look noticeable. To make it more interesting, you can get a customized rubber bracelet that tells people about your personality through a personalized message on it. Many people rush to the latest styles and end up getting outfits that do not make them feel comfortable and confident. Don't buy anything just because it's the latest fashion trend. Learn to build versatility, and then add your own twist to it. There could be countless fashion trends for the modern man, but you need to adopt a style that suits you. Make sure anything you wear, fits you. It should be something that makes you feel confident every time you see yourself in the mirror. Remember, a positive look will never run out of fashion. So, stay stylish and stay positive!